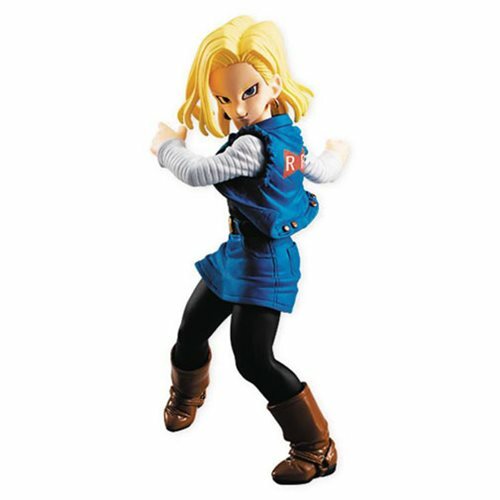 Android 18 comes to the Dragon Ball Styling series that features high-quality color molded figures! It captures the true essence of the character and scenes from the anime, and the delicate "Styling" (molding) is enjoyable at any angle. Figure measures 3 1/2-inches tall. Ages 15 and up.